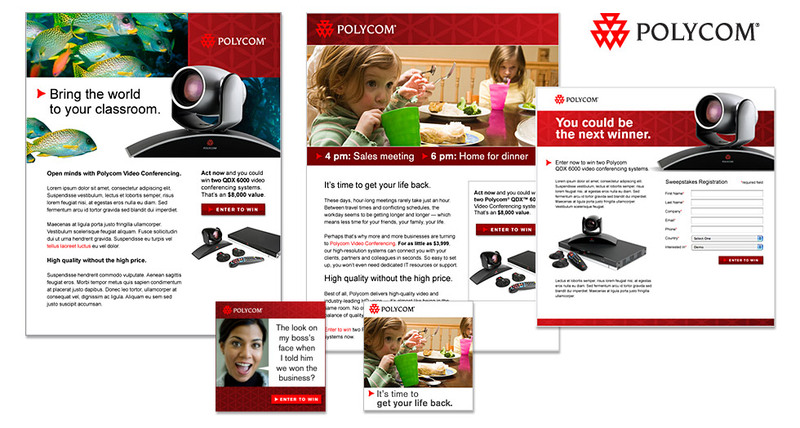 Emails, display advertising and landing pages created for Polycom to generate awareness about their video conferencing solutions for small business and education segments. For this audience, a personal approach was taken that focused on how the products could directly benefit customers and make their lives easier rather than focusing on technology and features. Art direction, visual design and Flash programming.